Promotes legislative awareness, professional development, and recognition of best practices in all areas relating to healthcare education. The mission of the Healthcare Education Commission is to support the goals and objectives of the Association of Florida Colleges Association of Florida Colleges and to promote legislative awareness, professional development and recognition of best practice in Healthcare Education. It’s a New Year and the Healthcare Commission is ready to launch again. We (Ann Hubbard from IRSC and Nancy Zinser from PBSC), will be co-chairing the Healthcare Education Commission and hope you will join us to participate in upcoming commission meetings and conferences being held throughout this coming year. We’ll be attending AFC’s Leadership Conference in Orlando where we will be finalizing plans for our Healthcare Commissions first meeting. Mark your calendar for April 3, 10 AM to Noon, as we will be meeting during the Teaching and Learning Conference in Orlando! More information will be forthcoming about the Conference and Healthcare Commission meeting. Meanwhile, AFC is assisting with updating the Healthcare Commission Web page and getting us organized. To move forward we need your help and participation to generate interest in new topics to explore and offer for professional development sessions during our Commission meetings as well as recruit new members. We look forward to seeing you in Orlando on April 3, from 10 AM to Noon. Please visit the AFC Website for registration to the conference as well as other details related to hotel and our Commission meeting. Happy New Year! Please feel to contact either of us with ideas and/or if we can be of assistance to you. 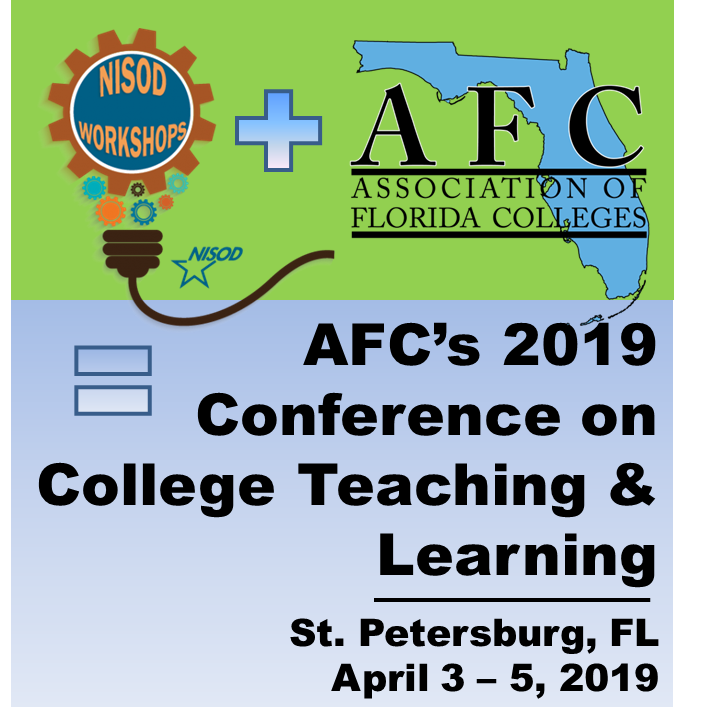 April 3rd in St. Petersburg, FL in conjunction with the AFC Conference on College Teaching and Learning. We'll be publishing an updated newsletter, soon! For now, enjoy our archives. Get plugged in to HEALTHCARE EDUCATION on AFC Connections! AFC Connections is our private interactive forum. Within this forum, we have the Healthcare Education Commission Circle. Please join the circle and connect with us today! Scroll down to the healthcare education commission circle and select it. Click on the plug ( ) to be taken to the Healthcare Education Commission Circle, enter your login credentials, and click Join Circle once the circle opens.